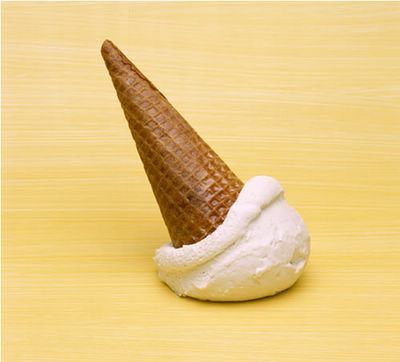 An ice cream cone is a cone-shaped pastry, usually made of a wafer similar in texture to a waffle, in which ice cream is served, permitting it to be eaten without a bowl or spoon. I guess Hama has some great variety of inventions starting with Nawa3eer and edning with the ice cream cone! Great posts Dina, very interesting, keep it up! My name is Aghiad , i am a new user in this "Blogger" thingy, anyway , Dina do you have another version of the Ice cream story where it says that Mr.Hamwi is actually Syrian? I can't wait for summer to eat icecream..thanks Dina !